Montenegro is one of the best-kept secrets of Europe. 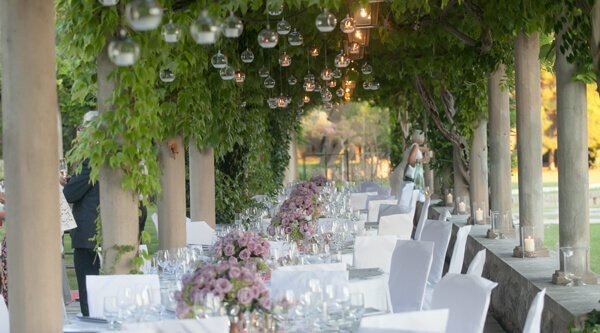 This relatively small European country has a lot of fascinating things to offer for Glamorous Weddings. You will fall in love with wild beauty, culture, people, ancient cities, Adriatic Sea, sunny landscapes, and mysterious lakes. 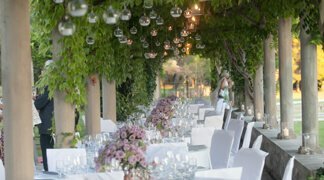 The tasty cuisine and climate of this beautiful Mediterranean country will astonish you with positive people and emotions that make it an incredible destination for Glamorous Weddings. 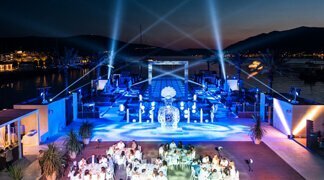 There are several things that you should consider making your wedding in Montenegro smooth and unforgettable. This is an essential factor for any elegant or glamorous wedding. You probably already have a good idea if you prefer a beach wedding, restaurant or hotel type wedding concept. Select one concept and style for the design of the site. For clarity purposes, it is advisable to seek the services of a designer. Fore example, your wedding choice could be small and elegant at a boutique hotel or restaurant. Or, large and glamorous at a hotel resort with reception, ceremony and lunch (or dinner) at different venues at the same location. For decorations and fun, consider and hire national dance groups. Ad a Montenegrin cover band or national colors to your wedding. Such a character creates a jovial mood. If you plan to have and intimate and romantic wedding, you should not compromise on the quality of the venue. 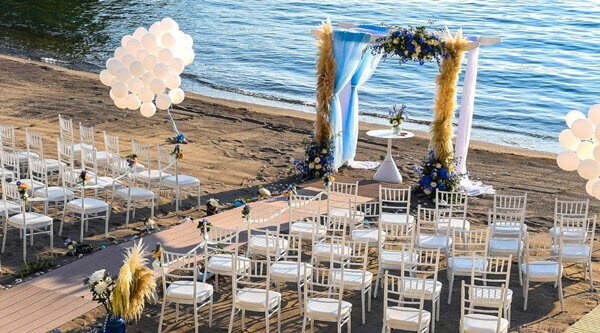 Fortunately, Montenegro will spoil you with plenty of choices when it comes to selecting a venue for your wedding in Montenegro. There are many beautiful ancient and modern churches, monasteries, and luxury hotels by the sea. Some of the exceptional venues in Montenegro for that glamorous wedding are Forza Terra in Kotor, Dukley Gardens in Budva, La Perla in Tivat, Aman Restort in Sveti Stefan, Porto Montenegro PMYC Pool in Tivat and Citadela Fortress in the Old Town of Budva. Bride and groom necessary documents; Passport. Birth certificate. Passports of two witnesses. A Certificate of No Impediment (CNI). Divorce certificate (if necessary from previous marriage). Death certificate (if widowed). For your guests, you need to find out which documents are required to enter Montenegro. Also, clarify which documents your guests need to carry. This will help avoid inconveniences. Advance preparations are the best so you will need a preliminary list of all invited guests and book apartments and hotels at the beginning of autumn. Choose the venue in advance so that you may get the best place that suits your tastes and preferences. A site located at or near a hotel is the best as it helps save time and transfer costs. Fortunately, all this can be done saving you time and headaches. For a glamorous wedding in Montenegro, simply contact us for assistance.